What you’ll see on this blog + Meet the team! As part of the initial phase of this project and some of the behind the scenes work, our team has had regular discussions about the implications and touch points of our work. As these discussions have evolved, we’ve felt it is important to document & capture our current thinking, and be able to show how our thinking & topics of interest to this team evolve over the course of this project. This is part of how everything in our project is open source. 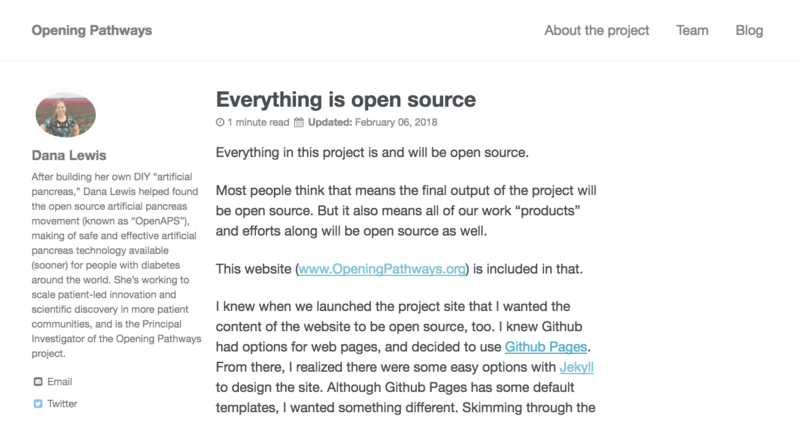 Therefore, you’ll begin to see a variety of blog posts here on the Opening Pathways blog, authored by various members of the team. Who’s on the Opening Pathways team? Each blog post will be identified with the author, and we may also feature guest posts from collaborators who work with us on various initiatives.